Experience the high country on horseback ! Part day, full day and multi day trail rides including modern lodge accomodation or rustic and remote camp accommodation. 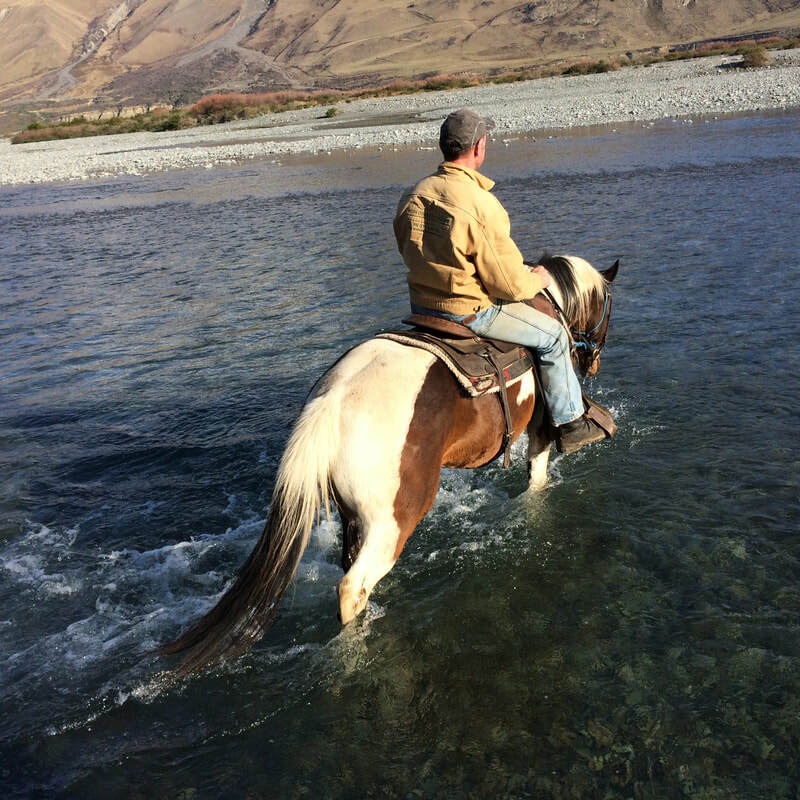 Chose from a part day or one day trail ride out of Lake Coleridge Village or a classic 3, 4 or 5 day trek through some of New Zealand's most spectacular remote high country, camping overnight in authentic musterer's huts. We have horses to suit all levels of rider experience, from beginner and novice to the experienced rider. We can cater for you with a lesson if you are an absolute beginner. If you are an experienced rider we will let you ride to your full ability. Enjoy the spectacular Canterbury High Country - only 75 minutes drive from Christchurch - yet a world away ! Take in breathtaking views of the iconic Canterbury High Country - mountains - lakes - rivers. This is New Zealand's 'Big Sky Country' ! We have gentle horses, we match the horse to the rider and your level of riding experience and skill. We offer very comfortable accommodation at our Lodge at Lake Coleridge Village, including private double ensuite rooms, spa pool and a picturesque, quiet setting. We provide quality meals and cater for special dietary requirements, please advise us of your requirements when booking. Our office and lodge are located at 1 Hart Place, Lake Coleridge Village, a pleasant 75 minute drive from Christchurch or 30 minutes from Methven. We can pick up and drop off from Christchurch or other central Canterbury locations if required (there is a charge for this service). 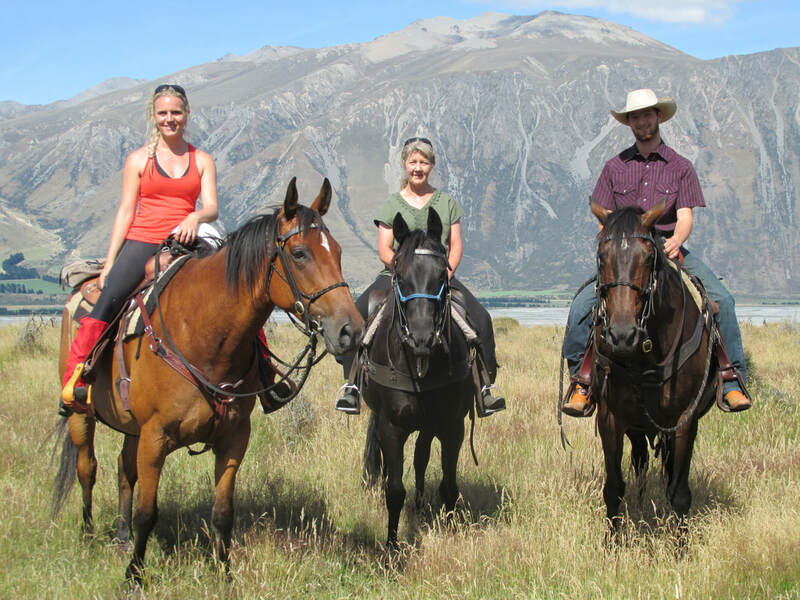 ​Our trail rides are in the Lake Coleridge / upper Rakaia Valley area and surrounding high country. © COPYRIGHT 2017.​ALL RIGHTS RESERVED.